Established in 1987, Indo Asia Tours is steered by three travel professionals, with decades of combined varied experience in this industry but a clear common vision. Boutique and flexible in its DNA but large in size, Indo Asia manages to be both dimensions of flexibility and competitiveness with ease. 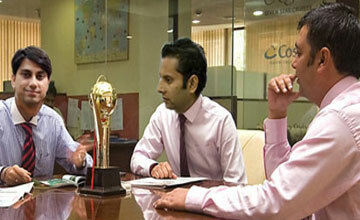 Today, we have etched a prominent spot amongst the in-bound tour operators in India. With longstanding experience and knowledge of destination management of the Indian subcontinent and neighbouring countries, Indo Asia Tours amalgamates the professionalism of large-scale operations, while keeping the intimacy of a boutique travel firm. 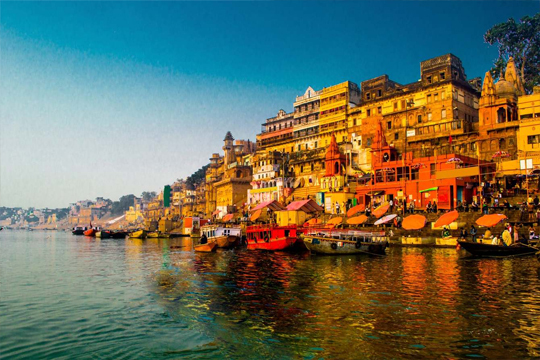 The tenacious foundation of service oriented outlook and in-depth knowledge has firmly kept us on the list of leading in-bound tour operators in the Indian Subcontinent. Stellar client satisfaction, updated information and efficient systems have created a seamless work environment since the organization was established. We are one of the leading ground operators in not only India but in Bhutan, Tibet, Nepal and Sri Lanka, offering the client a hassle-free service for all the leading destinations in the subcontinent. Not only can the traveller look forward to a superior product, with the highest quality of services but the experience is amplified with our commitment towards social and environmentally inclined associations as well. We carefully monitor client feedback to upgrade and improve our services and products. “ The 21st century is ours. The challenges of tomorrow are what the company is gearing up to conquer. A better tomorrow is what our today promises to be. To become the leading ground operator in the Indian Subcontinent. We strive to be the best partner to our clients by providing superior product, with the highest quality of services and demonstrating an unrelenting commitment towards social and environmental responsibility. 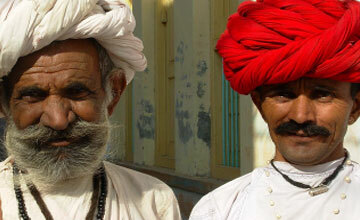 To offer inspiring journeys in the Indian subcontinent that will create everlasting memories. It is a pledge to explore breathtaking locations with our socially and environmentally responsible leaders, who are always present to satisfy the needs of our clients and forever exceeding their expectations. Each journey of our Bespoke Tours at Indo Asia Tours is conceptualized and conceived with expert advice of a travel specialist, who strives to make the trip exclusive and especially fine tuned to the travellers’ needs. Here, the tailor made experiences are designed to accommodate personal interests, with exclusive access to sights and experiences. Imagine having a dinner at a fort, celebrating a festival with a tribal settlement or a walk into the jungles with the most knowledgeable naturalists. These trips are tweaked to guarantee perfection as per your interest and needs. The highlight of these tours is the exclusivity and touch of perfection, with the strong backing of research and connections made over three decades. With these tailor-made tours, we are able to synthesize a global dimension with local expertise resulting in well-crafted journeys. Handpicked gorgeous backdrops and well-researched local experiences make the foundation of the Unique Tours of Indo Asia. Be it festivals in far away villages, food trails or ravishing hotels that are sure to mesmerize, these are the most intensely curated itineraries. With easy access to a repertoire of stunning hotels, off-beat experiences and activities that will leave you enthralled, we are able to weave anything from a craft oriented tour in villages to a trip into the historic forts and palaces, keeping the theme alive for the entire duration of the trip. These trips have an abiding appeal to travellers who like immersive experiences like wildlife sanctuaries, arts and craft, history, adventure, golf and other sports or even holistic healing. An enchanting trip from this genre is sure to leave the traveller gripped. With an intimate understanding of luxury travel, we bring to you the most extravagant picks from accommodations, experiences and transportation. It is no wonder that we have created a reputation for excellence with discerning elite travellers. With uber luxury options for the guests, this spells pure indulgence. 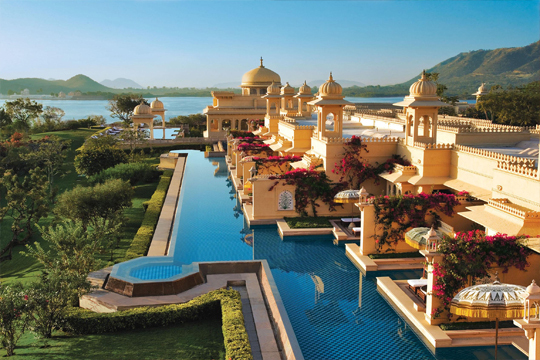 India has a wide array of exotic palatial and heritage hotels to base yourself in; this could be the erstwhile pad of a Maharaja, the seat of power of a formidable warrior or a bungalow on the beach. We book travellers only on exclusive activities and experiences that are tailor-made and have a boutique vibe. The most luxurious cars and other means of transportations (even private jets) await when they have to get around. This is the category to look out for if one ever wanted to be treated like royalty. To ensure that a holiday is devoid of any strain of bookings and follow-ups for the travellers, our Concierge Services team ensures that all bookings and specific needs are arranged for at the hotels, restaurants, spa services, transportation and other experiences. Our range of personal assistance and concierge services is what makes us distinct from other operators. Aided by our experienced team, we want to make a qualitative difference to the holiday and ensure that the time and effort of the traveller is only directed towards having a blissful time. The infusion of concierge services like booking tickets, getting visas, making hotel arrangements, reserving tables at restaurants and spas, ensures that the traveller is released from the stress of organization. 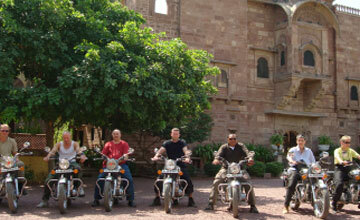 Our team is carefully appointed for this service as it makes for the foundation of a carefree trip. Tuned firmly to the pulse of the Indian Subcontinent, Indo Asia believes that the lesser-treaded trails are the most thrilling ones. It is our constant endeavor to do a deep research and offer exceptional itineraries in breathtaking locations, with knowledgeable experts who can help you unearth hidden gems. This is true, not only for the Indian trails, but ones across the suncontinent. You will find excellent ideas for Bangladesh, Bhutan, Sri Lanka and Tibet here. We keep our focus on not just where you travel but also how you travel. To offer you a span of options for transportation, accommodation and activities to complement your trip, we choose from a long list of the best hotels and have our own fleet of transportation or one that is managed by a trusted partner. We seek the best travel arrangements as the backbone for a successful trip, so only the experiences can be the cynosure of your time. It is imperative for us to provide all information and services on a skeleton of stellar technological infrastructure, so accessing the information is easy for the travellers. This is something that is native to the travellers – be it an ‘on the go’ booking, change of plans or additions to the itinerary. Indo Asia is geared up to stay connected with you at all times through your journey. From booking information, help and sharing itineraries, we use a technology heavy platform to ensure smooth journeys. We believe that travel is not only about visiting new places, but it changes the prism through which one sees the world. And that’s exactly what we want to propagate to the travellers coming to the subcontinent. While we take you into the thick of local life in far flung villages and tribal hotspots, we ensure that one mingles with the backdrop. We care to ensure that there is minimal intrusive footprint and that each itinerary adds a dimension of sustainability in tourism. 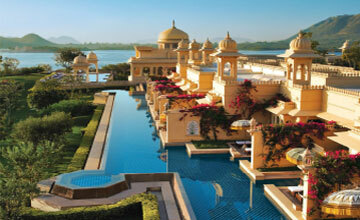 Indo Asia only collaborates with a constellation of the best hotels in the country. Be it a chic boutique hotel in the middle of a city or a log cabin on the top of a mountain, we ensure that travellers have ample choice. Fortunately India’s rich historical and geographical span has an unfathomable variety. Decades of experience under one roof – that is how we describe our team of passionate specialists who know every nook and corner of the country. Insights from these knowledgeable experts make the basis of an itinerary, never missing an opportunity to amaze the traveller. 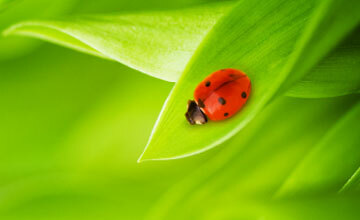 Their suggestions are backed by extensive research and reconnaissance. At Indo Asia Tours, we understand that the journey is equally important as the destination. We only offer a fleet of comfortable and safe cars and buses that are driven by experienced drivers. All our transportation modes are fitted with extra tools, tyres, well-maintained air conditioners, fire extinguishers and other essentials to make your drive hassle-free. From the extensive list of guides and experts that we collaborate with, each tour is assigned to someone who knows the destination at the back of his/her hands. It is these signature guides who are able to help the travellers unravel the mysteries, historical legends and the local flavour with a strong brand of storytelling. When travelling to a new destination, it is integral for the person to submerge himself in the wonder of the local culture. We are forever cognizant of the local hum to which we try and match the rhythm of the trip. 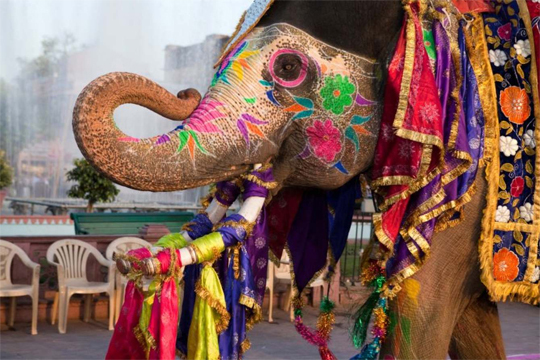 This is reflected in the exposure to food, dance, music and traditions that make India such a vibrant country. Unrelenting commitment to customer service is one of the most important pillars of operations at Indo Asia Tours. Our team takes a deep personal interest, beyond the call of duty, to ensure that all queries are answered to in least possible time, with multiple options and solutions that makes a journey truly devoid of any inconvenience. 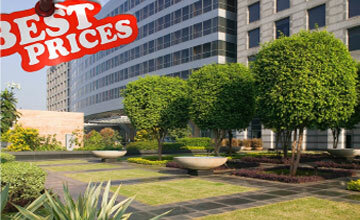 You can be rest assured that our ethos is firmly grounded in offering the best services at the most competitive rates. 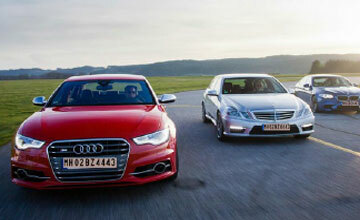 We understand that a long journey needs to be optimally priced. We are able to arrive at the very competitive rates due to longstanding relationships with partners and tapping on economies of scale. Once you have reached out to Indo Asia Tours, we ensure that there is no loose end to take care of, making the entire process from conceptualizing, planning and executing a journey absolutely hassle-free. 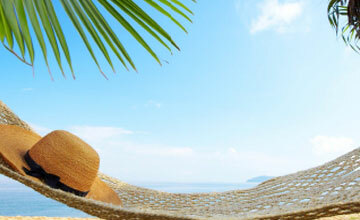 As your travel solution partners in the Subcontinent, we take your peace of mind very seriously. At Indo Asia Tours, we are committed to being the loudest voice in propagating the idea of sustainable and responsible dimensions in tourism. We ensure that all our trips have an overarching essence of positive impact on nature as well as local communities with participatory touristic development. This is the only way to foster responsible tourism. Top of the line travel and accommodation services meet the special golf needs of a traveller at the Tee Traveller division of Indo Asia, right from best course suggestions to all essential infrastructure. Our travel operations span the length and breadth of international, domestic, MICE, corporate ravel, forex, visas, ticketing, Matrix cards and other ancillary services for travellers, under this wing of the business. With our own brand of hotels spread across multiple locations within India, these properties offer you personalized service, optimum rates, curated itineraries with local flavour and flexibility in booking. Meetings and More, our conference organization division, offers avenues for people to engage, interact and exchange knowledge. 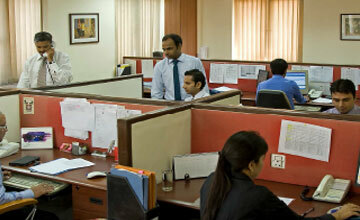 Here, we undertake arrangements of bidding support, core PCO services, meetings, incentive planning and exhibitions. The company has cast an indelible impression on the firmament of success by receiving 8 times “The National Tourism Award” for Excellence in Travel Industry from the Govt. of India.